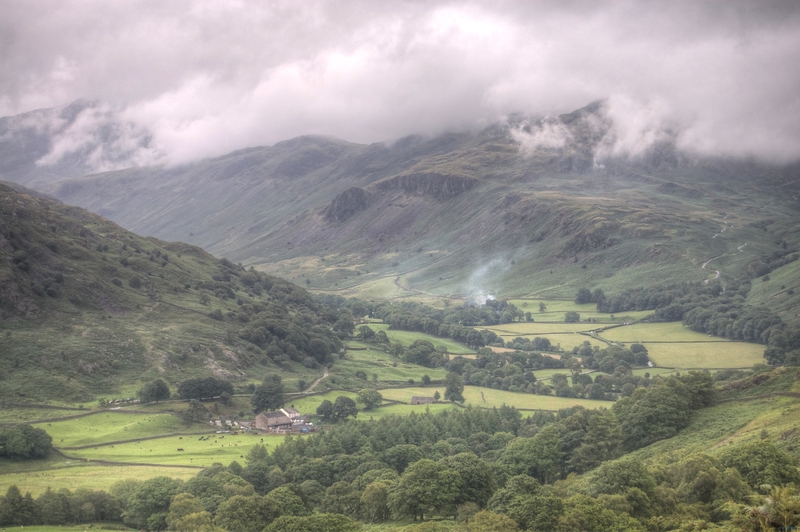 Upper Eskdale on a less than perfect day. Taken from the shoulder of Harter Fell. You can see the road up to Hardknott Pass on the right. Thank you. The stunning views made a long days walking totally worth it. I have been there many times (went to University at Newcastle so we used to nip accross regularly). My kids are finally at an age where they want to climb a real live mountain, so fingers crossed for next year!